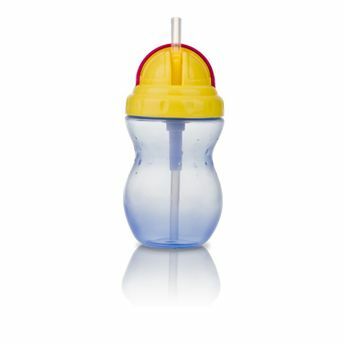 This Nuby Flip-It Easy Grip cup with Easy-Flo Straw features an easy-to-use flip top cap. This uniquely designed feature protects the straw from contamination when not in use, making it great for travel and short trips! Additionally, the Easy-Flo Straw is another amazing No-Spill product by Nuby that both you and your child are sure to love! Plus, these cups are entirely BPA Free.